The fish tanks in our restaurant are part of an Aquaponics system we use to grow basil and other herbs for the pizza. In a HYDROponics system, food is grown using water with added nutrients. 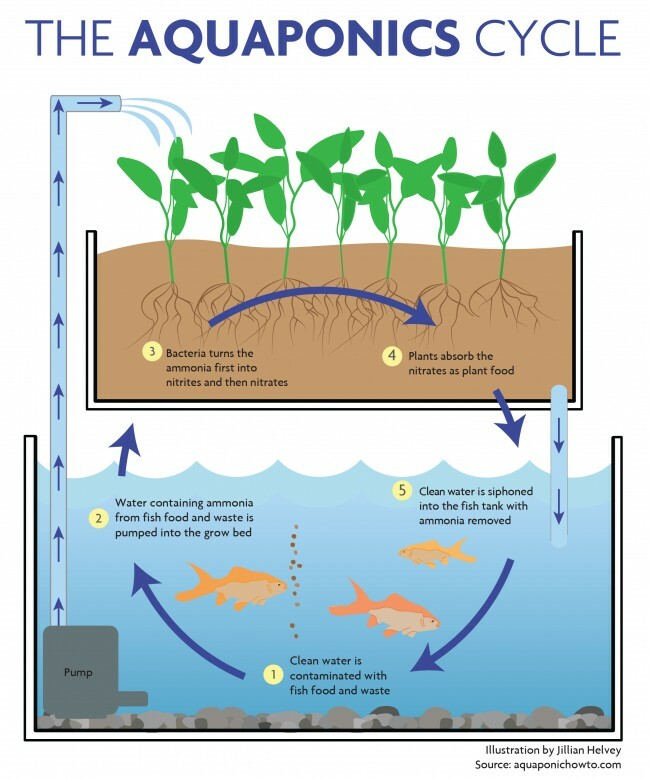 AQUAponics takes this a step further and adds fish to create the nutrients necessary for plant growth. Instead of having to add plant food to the water as in hydroponics, we just feed the fish each morning. The fish work to feed the plants and the plants clean the water for the fish. Frequently the fish in an Aquaponics system will serve as a protein food source. Our tanks have Japanese Koi in the colors of fire, and even a few with black spots like our pizza, but we don’t eat them. Maybe one day we’ll try some fresh water anchovies though!